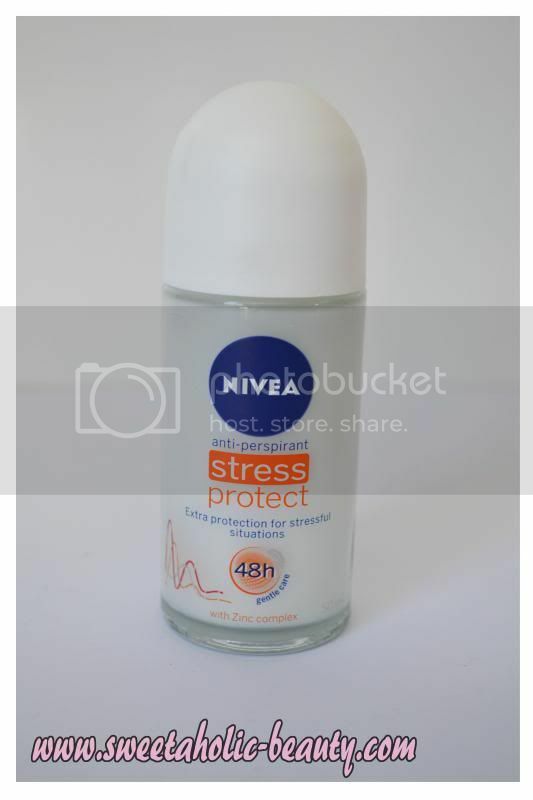 I've been trying the new Nivea Stress Protect Anti-Perspirant the last few weeks now. A while back, I used to use sprays religiously until I was suddenly converted to roll-on! 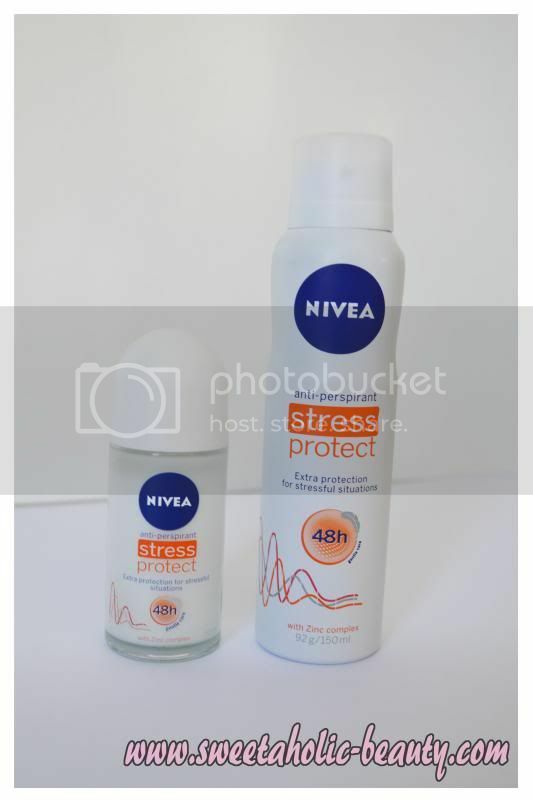 I tested out both of the roll-on and the spray for the Nivea Stress Protect - now I'm ready to share my thoughts! 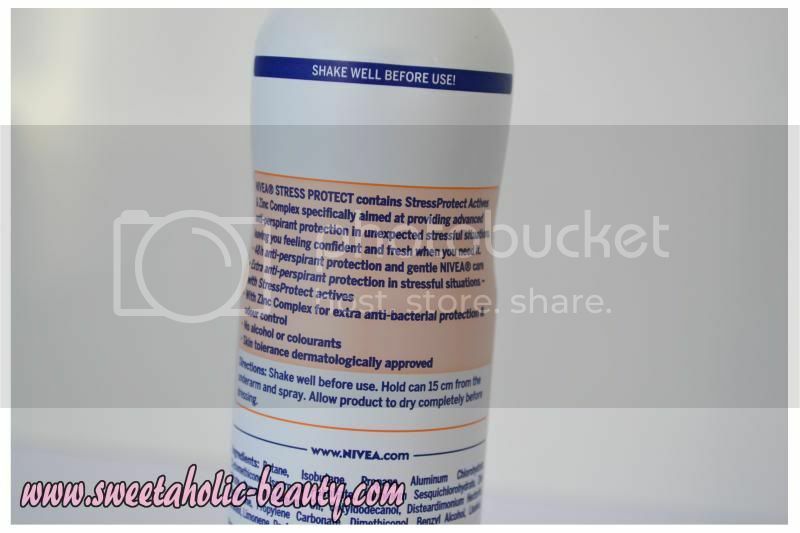 Now that I'm a fan of roll-on, I tested out this version of Stress Protect first. 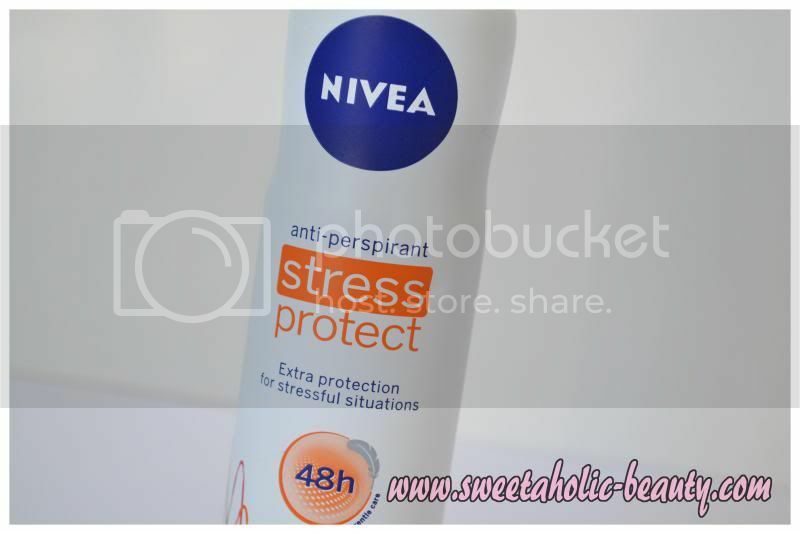 Nivea Stress Protect is designed to protect against sweating, particularly stress sweat! This is supposed to last 48 hours, ideally, however I don't think any anti-perspirant is that strong! The design is also really neat! The roll-on is glass, and see through, so you can see exactly how much is left - which makes it easier to keep an eye out on how much you have left. What I liked most about this is that the formula went onto the skin completely clear, unlike some anti-perspirants that go on white, and then go clear. I found that this really did help with stress sweat! 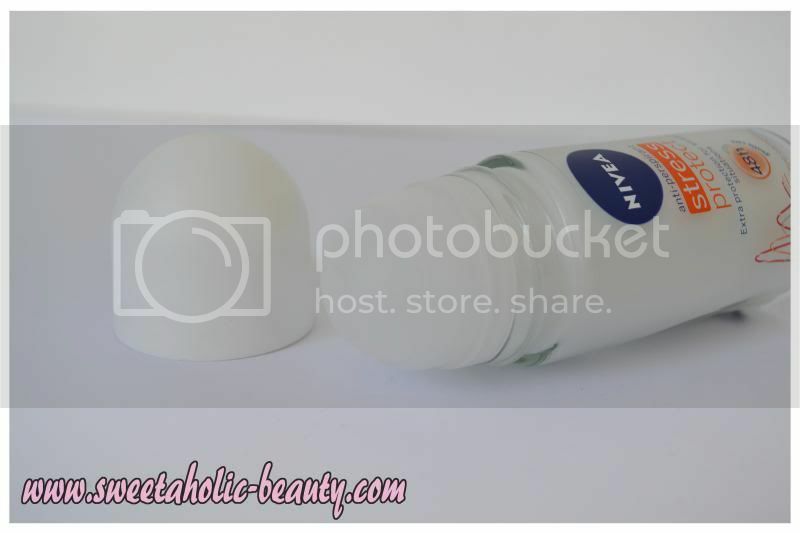 This is perfect for stressful situation, and kept me dry for much longer than other anti-perspirants - although I wouldn't say that it lasted the entire 48 hours! I was hesitant to test out the spray, because as I said, I was more of a roll-on fan. I actually threw this into my hand bag for emergencies. The scent is really neutral, also, and didn't have an overwhelming smell like some other sprays do. I tested this out at work, after I felt myself get a little sweaty, and it really worked at reducing the sweat and really made me feel refreshed. I really liked the spray, as I felt it actually did just as good a job as the roll-on, if not better. I think using these together is definitely a winning combination. I use the roll-on in the morning when I get up, for all day protection, and then I use the spray for any extra protection I might need throughout the day and night. Both of these worked really well at keeping stress sweat at bay - or any sweat for that matter. 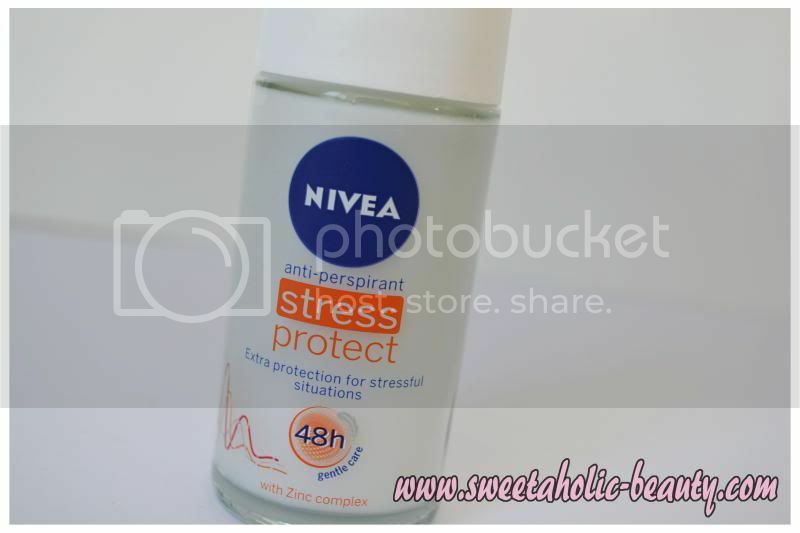 Although I'm more of a fan of roll-on, I think that the Nivea Stress Protect Anti-Perspirant has made me a believer again! I usually find that a deodorant is either great as a roll-on or a spray, but not usually both, so I was pleasantly surprised by this duo! I would definitely recommend picking up either one of these, or both of them if you like roll-on and spray! 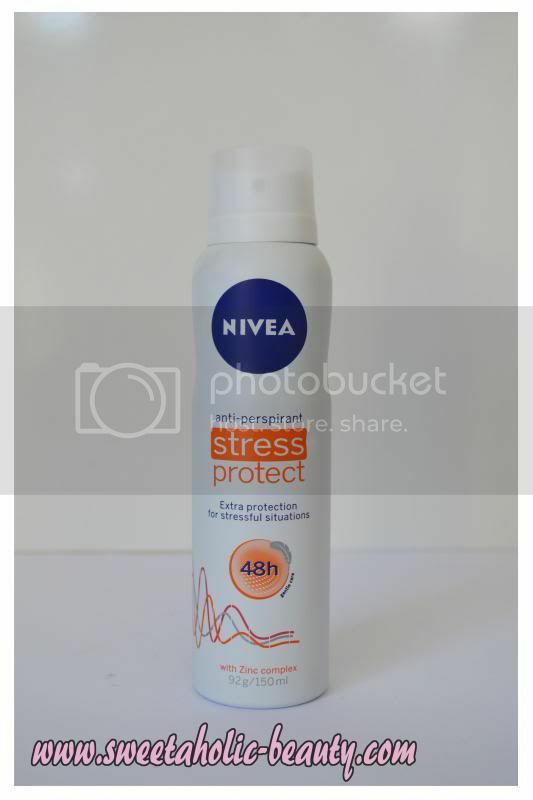 Have you tried the Nivea Stress Protect Anti-Perspirant? If so, what did you think? Do you prefer roll-ons or sprays? Great review! I really like the fact it goes on clear, may have to give it a go! I'll certainly take a look. It's good that it goes on clear. The spray I use leaves this whitish powder thing. And it can transfer, bleh. I used to be the same! It felt so unlady-like :P haha! I'd be more than happy to have a look at your blog, however in future I'd recommend not commenting on somebodies post asking them this, but instead email them directly, or chat to them on twitter, it's just polite. hi! i'm having a problem with face sweating... Is there any kind of product i could use to stop this? Hi Navuth, if you're in Australia, there are a few different products you can try. If you go into your local pharmacy, they should have some products there to try out. One brand I know of is called "No Sweat" and they make a few different products for different area's of the body. If you're from overseas, I would assume they have similar products, if not the exact same. Hopefully this helps!